French bread can trace its start to a rather unlikely set of circumstances. Thanks to a law passed in 1920 that prohibited bakers from working before 4 a.m., morning commuters needed a new type of bread. Voila! The French bread was born. 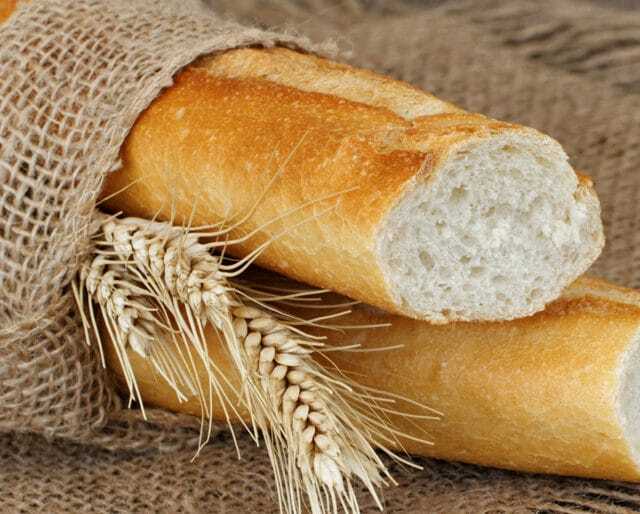 Lucky for you, National French Bread Day, held annually on March 21, is the perfect opportunity to indulge in this unique bread that is characteristically crunchy on the outside and delectably doughy on the inside. While first viewed with some hesitancy, Rohwedder’s bread slicer is incorporated into factories — revolutionizing the bread manufacturing industry forever. Otto Rohwedder, an itinerant jeweler, invents the first mechanized bread slicer. The Mesopotamians create milling — a process we still use today to create flours — by stacking two flat circular stones on top of one another to grind the grain. Ancient Egyptians begin utilizing yeast in bread, altering the typically flat breads — naan, pita, tortillas — and making them fluffier. Although you can celebrate with some store-bought French bread, there’s nothing quite like the real, fresh thing. Not only will it be steamy and delicious, but if you’ve never made bread before, you’ll end National French Bread Day feeling accomplished and proud of your newly learned baking skills. French bread is perfect any time of day, so now’s the chance to eat it all day, at every meal. Use it for an egg sandwich in the morning, veggies or cold cuts for lunch, or dunk a slice into soup at dinnertime. Recruit some coworkers to help bring in French bread goodies for the office. Designate people to bring in baskets filled with bread slices for snacks throughout the day, finger sandwiches for lunch, and bake (or buy) French bread twists with chocolate chips as a sweet treat. The French love dipping French bread into hot coffee or tea. Food off a plate and on a table is usually a no-no, but with French bread, etiquette calls for it to be placed straight on the table. Because of its unique shape, French bread is typically carried under the arm — which is why it’s normal to own a baguette bag in France. The French love their desserts, and they’ve found that French bread makes the perfect vessel for chocolate chips. It’s normal for Frenchmen to rip — or straight up nibble — their French bread before they even get home. Not only is French bread mouthwateringly yummy, there are some important criteria that go into creating it. For example, it needs to be between 5 and 6 centimeters wide, 65 centimeters long, have a golden outside, and an ivory inside. As if we really needed one. But since bread is usually the first thing to go when trying to cut weight or bloat, this is a chance to indulge guilt-free. However, when it comes to breads, making French Bread is as strict as it gets; in fact, in 1993 the French government established a law called the “Décret Pain” which prohibits the use of additives or preservatives. Also, it needs to be baked on the premises where it’s sold, and it can only contain the following four ingredients: yeast, wheat flour, salt, and water. Whether you bake your own French bread or simply incorporate it into a new recipe, try to branch out from the norm and try new things. For instance, try making a French bread pudding, French bread pizza, or garlic bread.